← What is a Seal of Biliteracy and How Does it Promote Bilingualism? 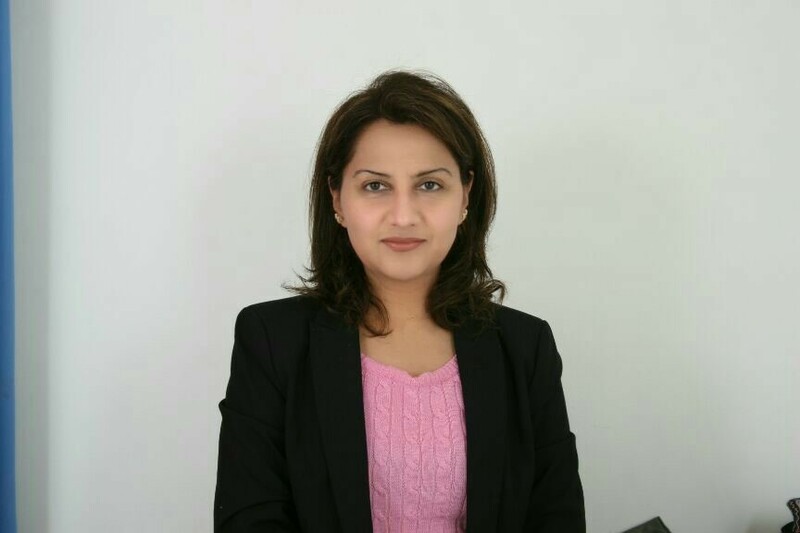 Past president of TESOL Arabia (2016–2017) Naziha Ali shares her best practices as a leader in TESOL Arabia and discusses the impact of teacher professional development associations on both teachers and employers. Sherry Blok (SB): Tell us a little bit about TESOL affiliate, TESOL Arabia. Naziha Ali (NA): TESOL Arabia is a not-for-profit teacher development organisation that is devoted to the professional development of its members. The organisation was first founded in 1993 by a small group of EFL teachers living and working in the United Arab Emirates. The main reason behind founding TESOL Arabia was to establish a network of communication between EFL teachers and to form a venue for exchanging knowledge in the field as well as to support novice teachers in their development in a region where there were many non-Middle Eastern teachers but opportunities for development were either limited or didn’t exist. Over the years the focus has shifted to including all teachers who used English as a medium of instruction, thereby encompassing a larger community of teachers and academics. Today, 23 years later, the organisation is well known in the Middle East as well as around the world. As at the time of founding, it is still run by volunteers elected from among its members and financed by the membership subscriptions and proceeds of the Annual Conference and Exhibition. Other sources include the number of publications produced by the organisation. SB: Naziha, how did you become involved in TESOL Arabia? NA: I first joined TESOL Arabia when I moved to the United Arab Emirates. A friend was part of the volunteer team and recommended that I come and see what the organisation was doing. That was in 2001 and it was my first year teaching EFL. After being an active member for a year, I was asked if I would like to volunteer and support other teachers by organising chapter events. I hesitated at first but then I agreed, not knowing what exactly I was getting into. Since then, there has been no turning back, and I feel that engaging with TESOL Arabia is the best thing I did for myself in terms of professional development. SB: What is your day job? NA: I’m employed as a corporate learning and development specialist at Emirates Airlines where I teach foundation English to UAE nationals who are newly recruited staff. These include airport ground staff, engineering apprentices, cadet pilots, security agents, operational staff and HR staff. I also facilitate business communication courses and workshops for non–UAE-national experienced staff in the organisation. SB: How does your employer support you in your commitment to TESOL Arabia? How can it be seen as a benefit for the employer to encourage their employees to attend conferences and volunteer their time in associations such as TESOL Arabia? NA: As TESOL Arabia is the only organisation that is well known in the field of TEFL/TESOL teacher development, most organisations support teachers who would like to engage with TESOL Arabia. Similarly, and because my work within TESOL Arabia is well known, my employer offers to pay for my annual membership and annual conference attendance. In terms of employer benefits, I’ve always believed that should employers encourage teachers towards taking charge of their own development, the benefits are directly visible in the quality of students that leave their classrooms eventually. This not only raises the confidence of the teacher involved but also establishes customer/stakeholder credibility in the institution based on the exceptional qualities of teachers that are part of the institution. Not to forget that teachers who have some autonomy in managing their own professional development are less prone to burnout as they have a venue for exchanging knowledge and learning in an environment suited to their own level of experience. SB: What accomplishments are you most proud of from your time serving as president of TESOL Arabia? NA: My greatest personal achievement was the completion of my doctorate in the manner that I intended to and with the subject that was/is my passion. I researched the professional development of midcareer teachers in the UAE at a time when there was heavy focus on developing novice teachers. As TESOL Arabia president, my pride lies in establishing and supporting the development of outreach programmes for teacher training and development in countries such as Pakistan. I also personally facilitated the collection and distribution of books through the TESOL Arabia Book Drive to Sudan and Pakistan at a time when the long dedicated book drive volunteers had to step down. Another thing, I’m proud of is having facilitated the process of affiliations with TESOL Arabia in countries such as Turkey, Iran, Saudi Arabia, and Pakistan. The concept was introduced by the president preceding me, and I made efforts to facilitate newer relationships as well as represent TESOL Arabia internationally as president. And finally, I also facilitated the formation of the very first TESOL Arabia Board of Advisors during my term that included veterans in the field of TESOL from all over the world. Among them are Andy Curtis, Thomas N. Robb, Salah Troudi, Jane Hoelker, Mashael AlHamly, Les Kirkham, Zakia Sarwar, Khaldah Al Mansoori, Ali Al Shehadeh, and Christine Coombe. SB: What leadership skills are key in leading an association such as TESOL Arabia? NA: Patience, patience and more patience. One also needs to be tolerant of cultures as we are a multicultural body. That apart, leaders in such an association need to be capable of taking quick and smart decisions, engage people in the decision-making process and remain transparent. We live in an environment where distrust stems easily as each leader is from a different culture. Hence, the leadership position is a bit like walking on egg shells which means one needs to be very respectful towards everyone and at the same time a little assertive in facilitating discussions [and] decisions. We are all influenced by the culture in which we live which means discussions can be prolonged (in a healthy manner) and indecisive (out of respect for each other). Hence, leaders in such an association need to be agile and assertive. SB: In your opinion, how do teacher professional development associations transform a career in TESL? NA: It really depends on what stage of your career you are at when you start engaging with PD associations. The responsibility is more on the teacher over how she/he makes the best use of what is on offer. From experience, I can recall that it gets overwhelming at first. Once you identify your own area of interest and stay with it for a period of time, that is when being part of an association adds value. And that is when the career transformation takes place. Having lived through that phase, I’ve coached a number of teachers on how to get the best out of teachers associations. This makes me think that perhaps teacher professional development associations should work on educating novice teachers on how career transformation is possible through a relationship with the association. SB: What is your response to teachers who state they don’t have time for professional development? NA: I would and do encourage such teachers to reflect on what professional development actually means. It does not mean necessarily associating oneself with a professional development organisation. Any activity that a teachers engage in that makes a conscious/unconscious difference to the way they do things at work or in class is professional development. Anything from a ladies’/men’s room chat to a water cooler chat to studying for a degree to sharing knowledge in front of a large audience at a conference is professional development. So for teachers who state that they don’t have time for professional development, my suggestion is to stop and reflect on what activities they like doing that add any kind of value to their work. Chances are they are probably already engaged in some kind of professional development, even if it means a bright spark occurring when they are watching a TV programme in the evening. SB: What advice do you have for teachers who would like to get more involved in their local TESOL chapters? NA: As mentioned earlier, the initial experience can be overwhelming in terms of time and information. The best approach is to take it slow and steady in digestible bits. Teaching associations, once they start, will always be there and will continue to grow so long as teachers exist in any country where the association is. The most practical approach is to first engage as a member for at least 2–3 years to see what the hype is all about, to understand the activities, frameworks and expectations from leaders and volunteers. Then volunteer, and once you’re part of the team, remember that any activity that you do as a volunteer, even if it means organising an event or writing a review about the event, you are developing professionally. It is all a part of your overall development as a TESOL professional. To find out more information on TESOL Arabia, please visit the TESOL Arabia website. This entry was posted in TESOL Blog and tagged employment issues, evergreen, leadership, professional development, TESOL Arabia. Bookmark the permalink. Naziha is so inspirational and gave a great outlook on the “How’s” and “Why’s” of professional development. Her answer to your question, “What is your response to teachers who say they don’t have time for professional development,” was spot on. Sometimes all we need to further our knowledge as educators is to bounce ideas back and forth with a peer. This is something everyone has time for and not something we should ever feel ashamed or apprehensive to do; everyone has room to grow. Also, the fact that her employer is so supportive of her endeavors in TESOL Arabia is essential. I feel it would be quite hard to be an active president in such a large organization without that support, and it is something many employers should strive for. If employers are able to send their faulty to professional development conferences and/or pay for them to be a part of educational organizations, they will see results in their professional learning communities and in their students, just as Naziha said. Thank you for sharing this interview.